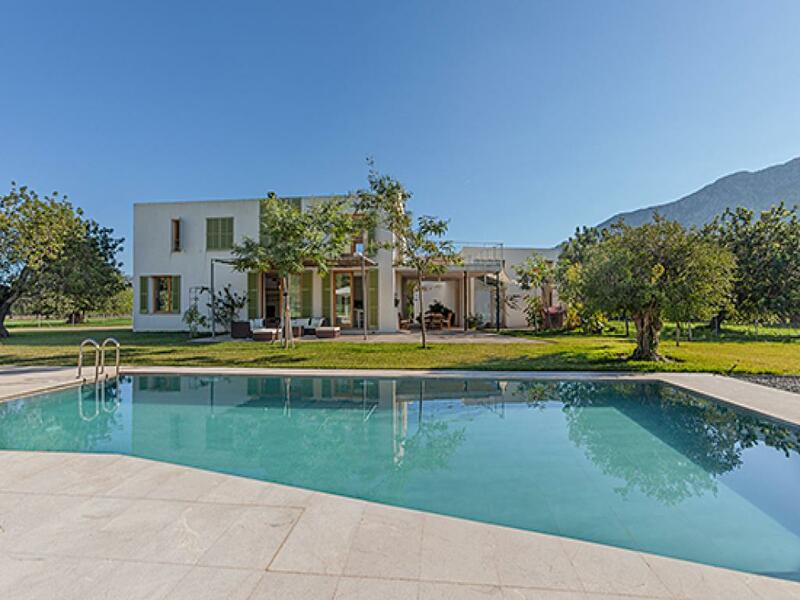 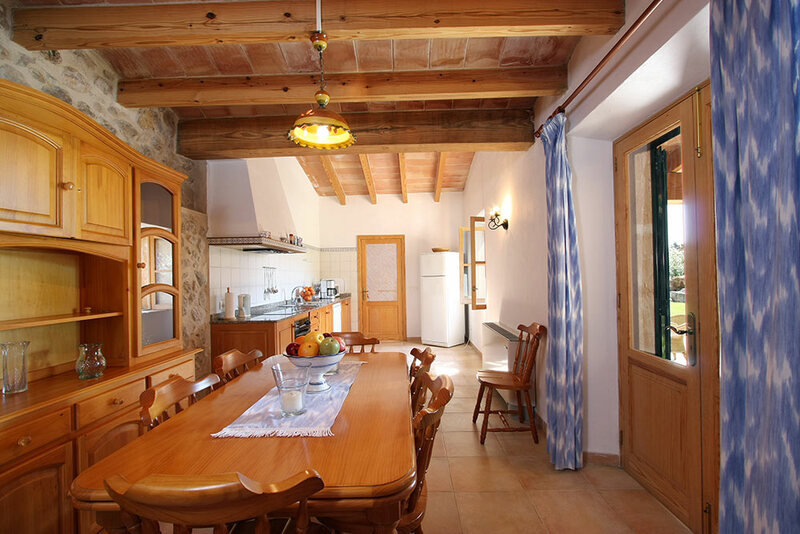 4 Bedroom, 2 Bathroom Villa with Mountain View and a Private Heated Swimming Pool , Air Conditioning, WiFi, Table Tennis, Satellite TV, near Golf, Sleeps a maximum of 8 people. 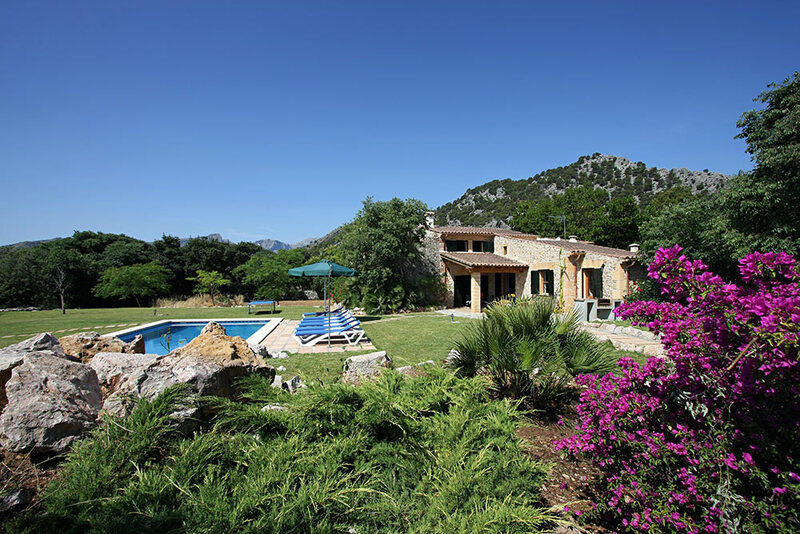 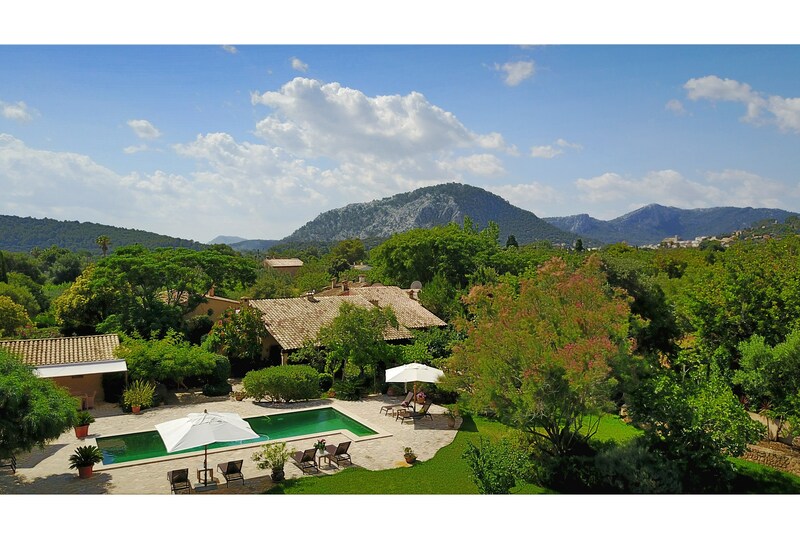 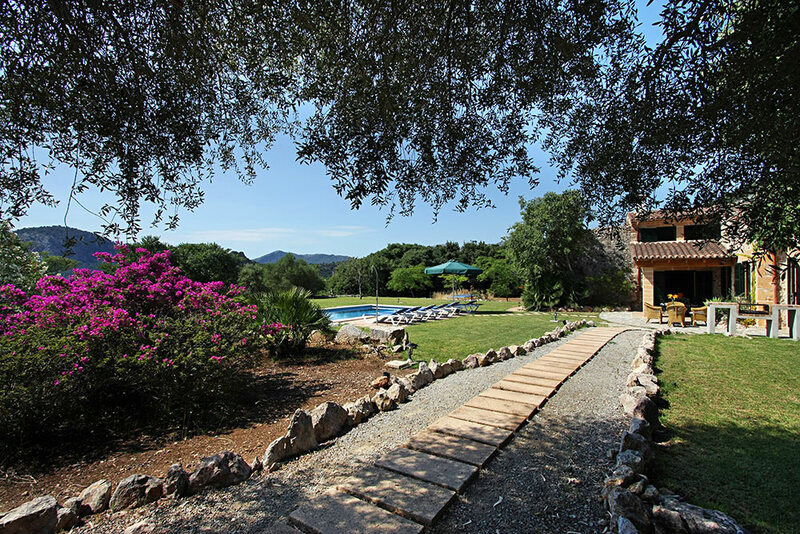 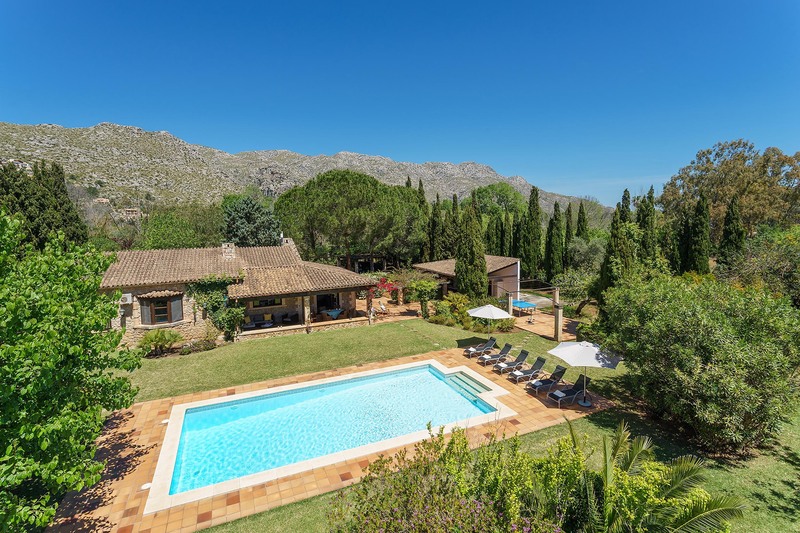 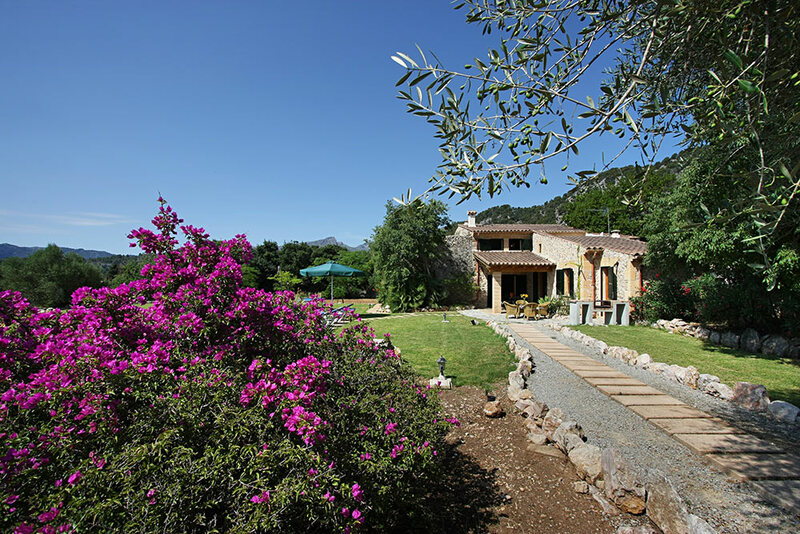 Villa Utopia finds itself tucked into the green mountainside of Valle de Ternelles, not far from Pollensa. 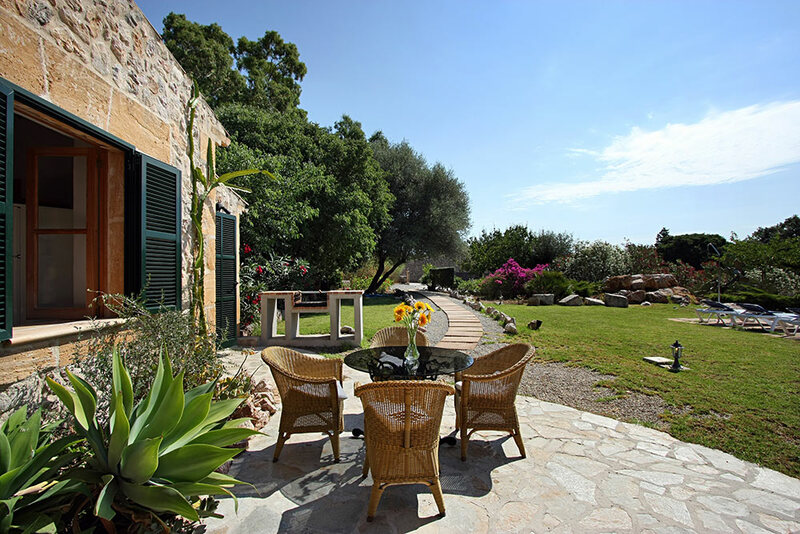 Being positioned on the mountainside means that the villa benefits from a spectacular viewpoint and on clear days it s even possible to see the sea. 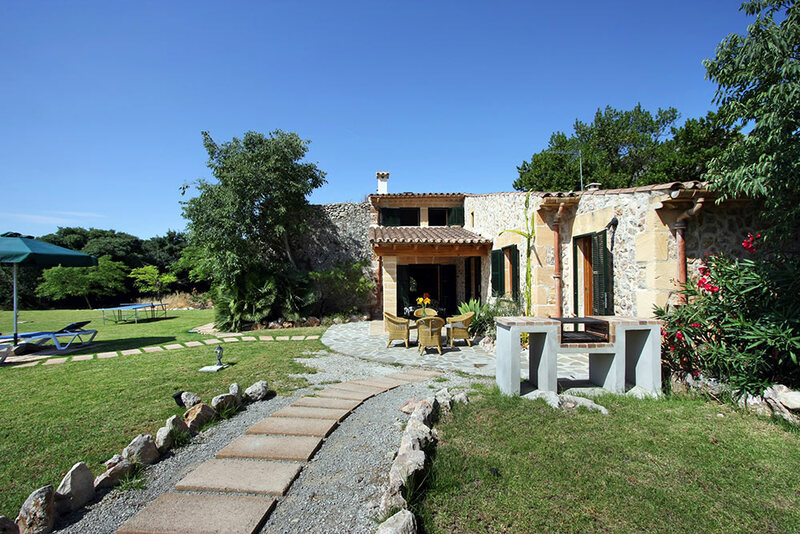 Passing through a typical Majorcan-style sandstone archway you arrive at the main entrance of the house. 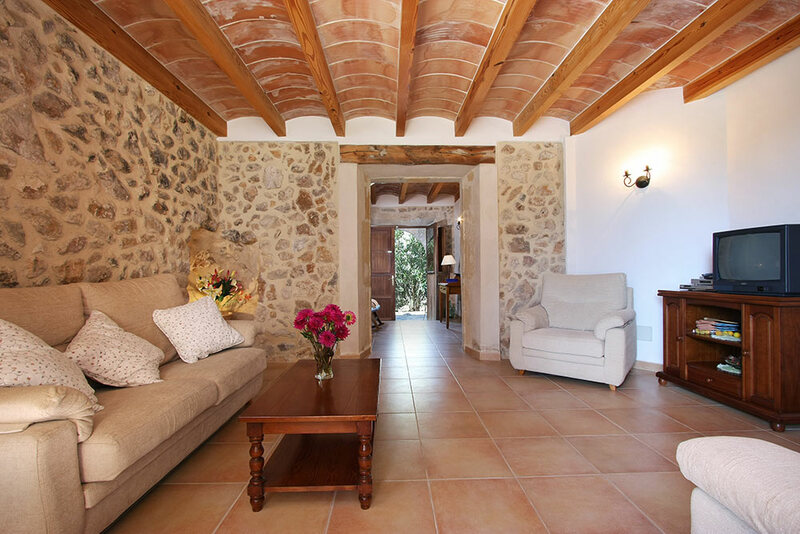 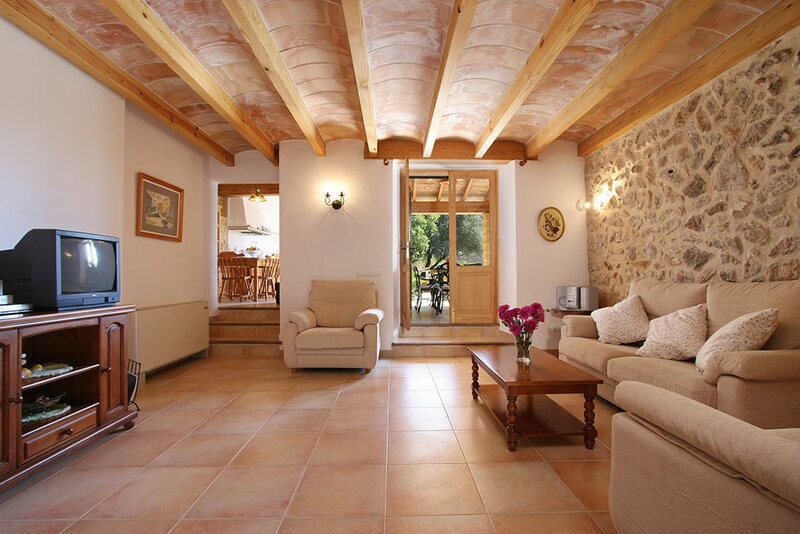 The front door opens directly into the lovely living room with its exposed stone walls, left over from the walls of the original finca, before the villa was renovated. 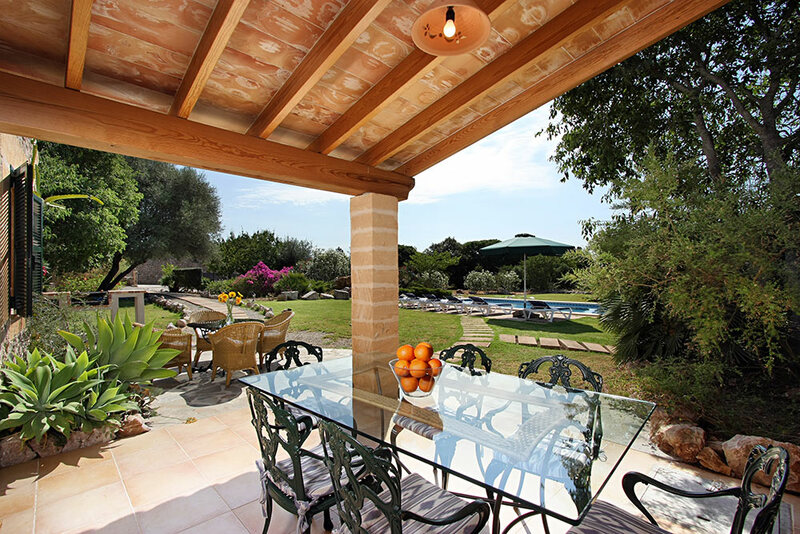 From the lounge you can step out into the covered terrace. 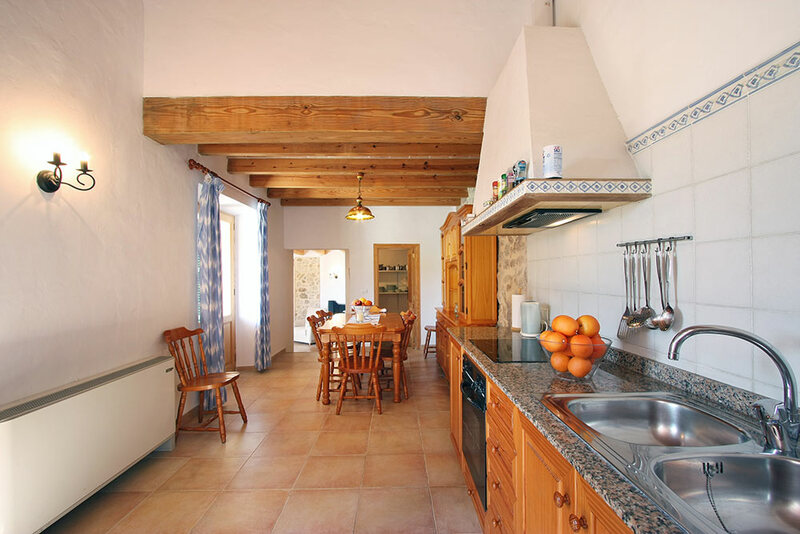 Next to the living room you will find the large kitchen with a dining table, and towards the back of the room there is the larder and utility room. 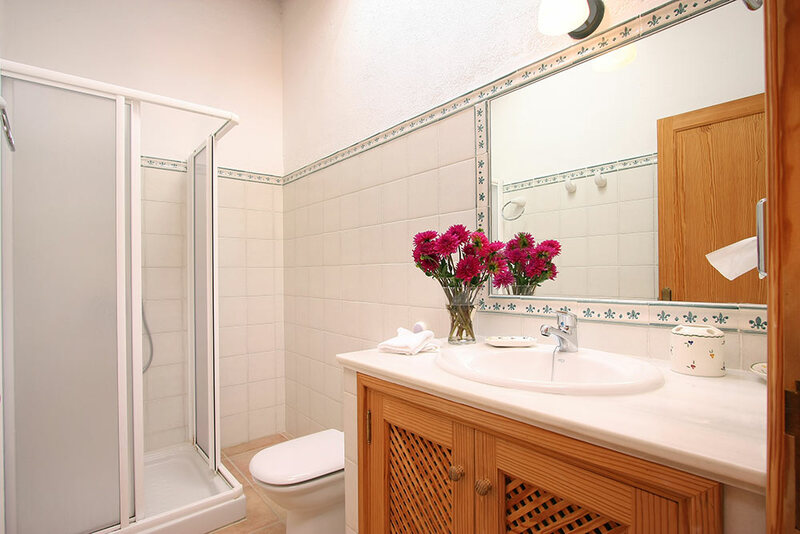 To the left of the front door you can find the first double bedroom and a bathroom with shower. 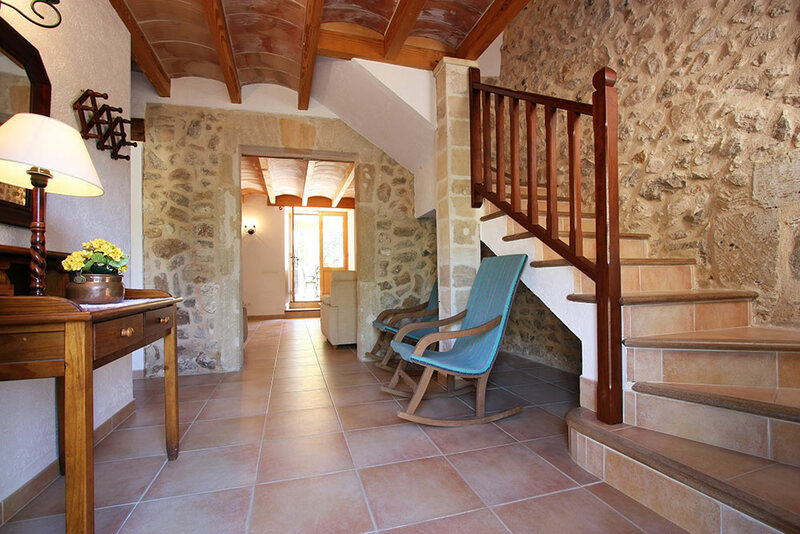 To the right there is the staircase which leads up to the first floor where you will find the other 3 double bedrooms and two bathrooms. 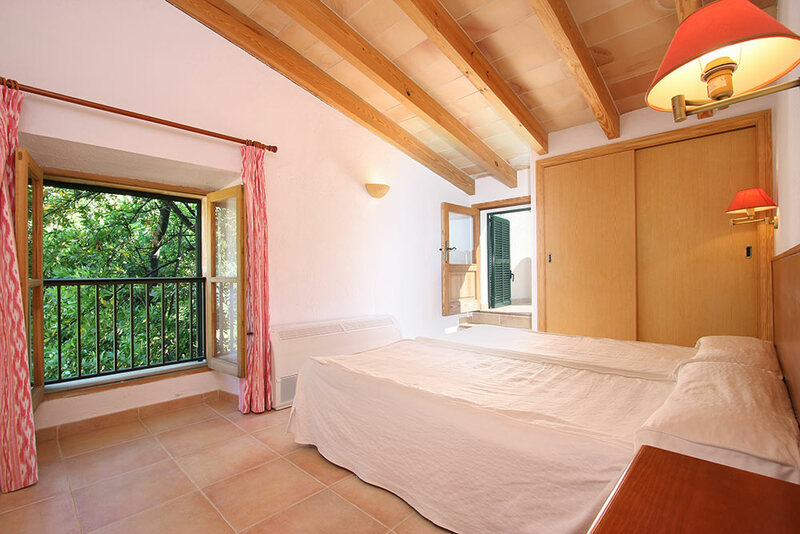 One of the upstairs bedrooms has its own sun terrace with views to Pollenca and (on good days) to the sea. 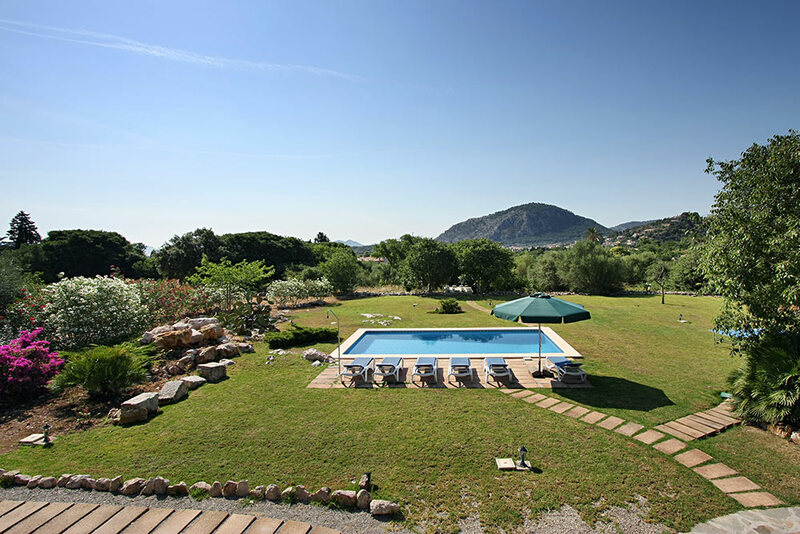 The swimming pool (8m x 4m) is situated in the middle of the garden, surrounded by lawns and Mediterranean plants, typical of the area. 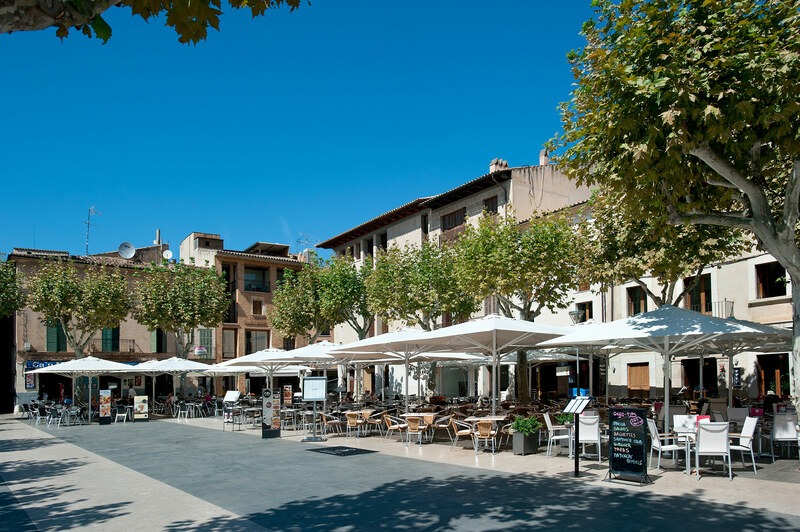 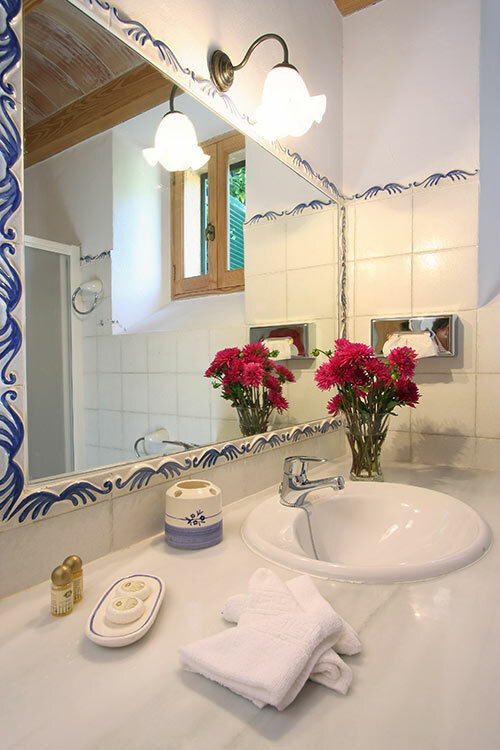 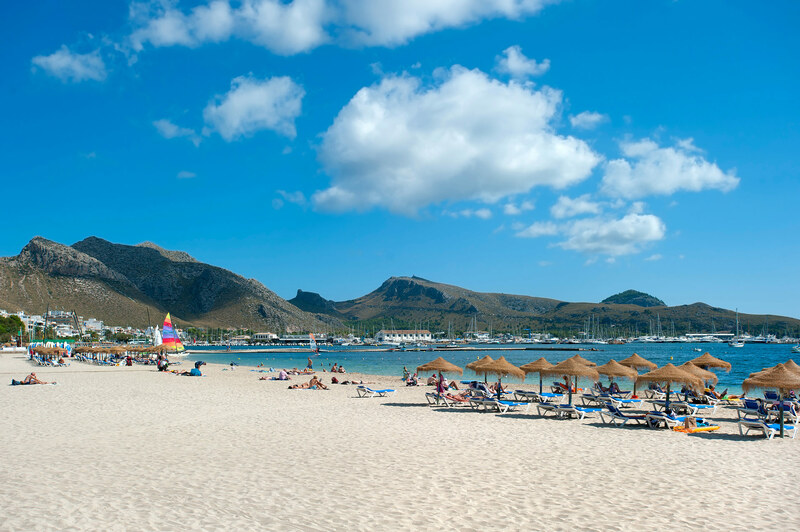 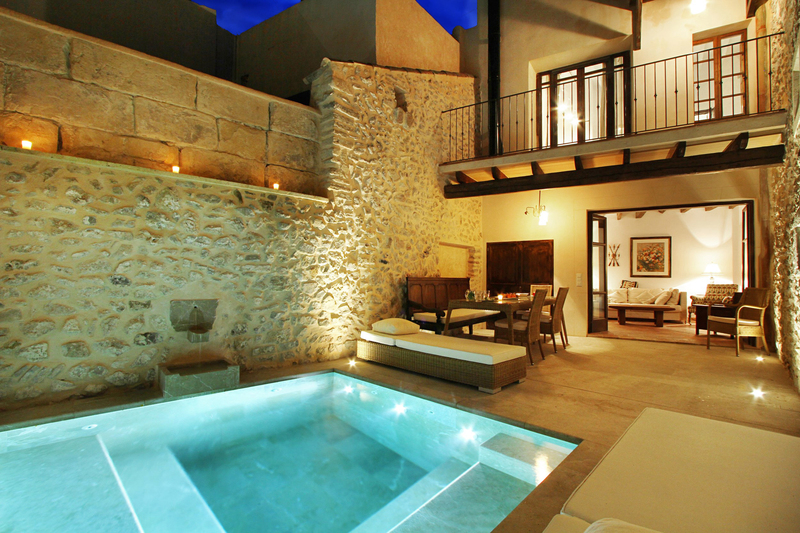 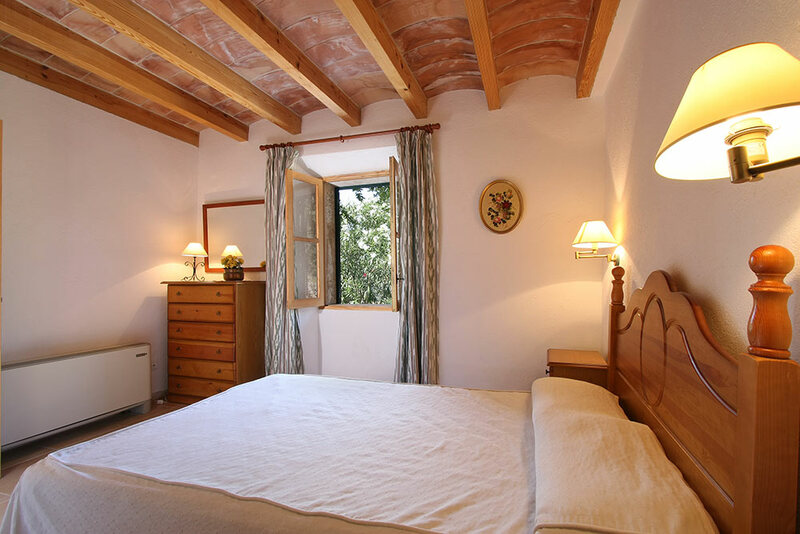 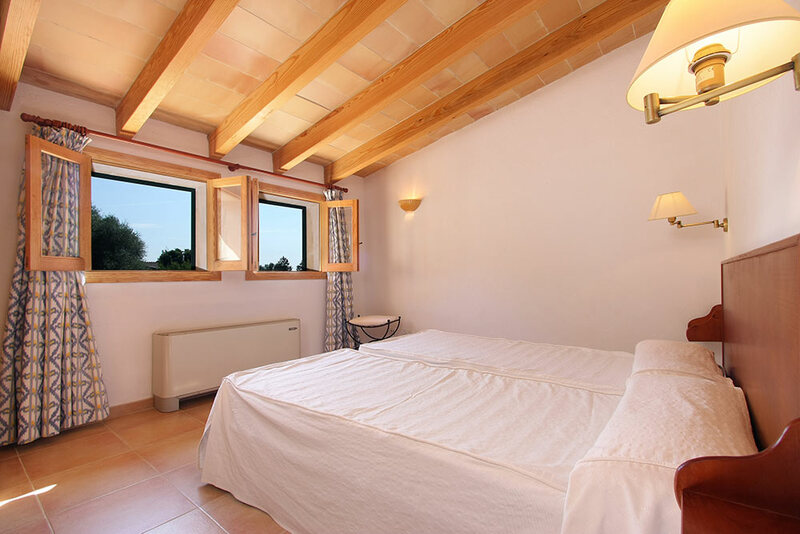 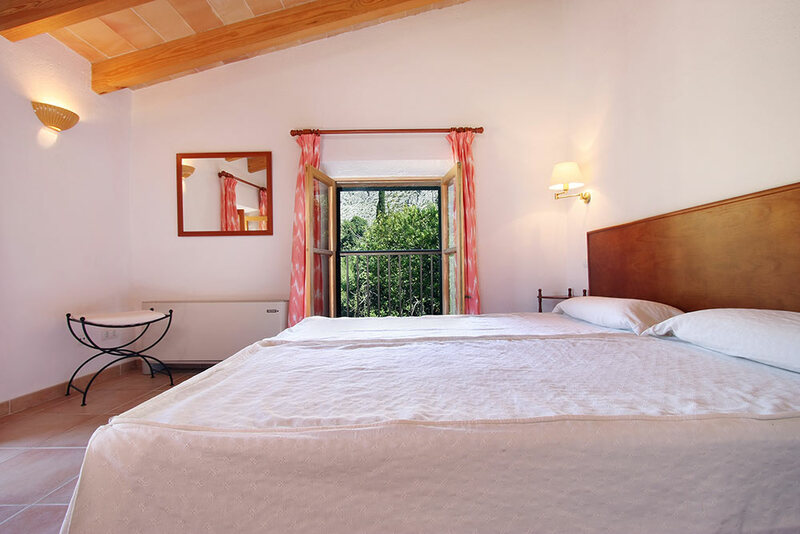 The villa was renovated during 2002, taking care to provide maximum comfort and luxury while at the same time preserve the charming appeal of traditional Majorcan houses.